The Cisco SD-WAN Solution is a cloud-delivered overlay WAN architecture that facilitates digital and cloud transformation for enterprises and is offered on cloud, physical and virtual platforms. Manage your entire network from a centralized dashboard. Cisco DNA Center is the network management system, foundational controller, and analytics platform at the heart of Cisco’s intent-based network. Cisco DNA Center addresses the demands of digitization, cloud, IoT, and mobility by eliminating IT complexity and facilitating alignment with business intent, unifying policy, automation, and assurance with integrated security. Cisco Email Security protects against ransomware, business email compromise, spoofing, and phishing. The industry's first threat-focused next-generation firewall (NGFW). Gain awareness of everything hitting your network. Provide access consistently and efficiently. Relieve the stress of complex access management. Cisco Meraki SD-WAN offers software-defined WAN features for all MX Security Appliances. Designed to help you efficiently implement and manage virtualized data centers. It includes a feature-rich, customizable dashboard that provides visibility and control through a single pane of glass to Cisco Nexus and MDS products. Extend your enterprise network to public and private clouds with the CSR 1000V Series. Offer routing, security, and network management as cloud services with multitenancy. The series is infrastructure agnostic and programmable across the LAN, WAN, and in the cloud. Application Centric Infrastructure (ACI) simplifies, optimizes, and accelerates the application deployment lifecycle in next-generation data centers and clouds. Jasper, now part of Cisco, is a global Internet of Things (IoT) platform leader. Cisco Video Surveillance Virtual Matrix Software enables an operator or application to control and display video on any number of local or remote physical and virtual monitors. Much like a classic video matrix switch, it uses the IP network to provide aggregation and transmission of video from cameras and recording platforms. High performance. Resiliency. Security operations empowerment. NGIPS receives new policy rules and signatures every two hours, so your security is always up to date. Cisco technologies can help your business create value from the IoT. 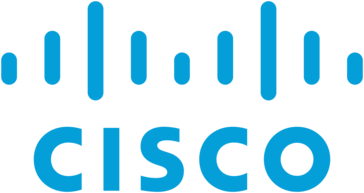 Cisco routers support secure, reliable enterprise connections. These enterprise routers help you implement an intent-based, future-ready WAN that is constantly learning, adapting, and protecting. Deploy routers for the branch, cloud, co-location, or the data center with any type of connectivity, including MPLS, Internet, and 4G LTE. Cisco FindIT Network Management is purpose-built for managing networks of Cisco 100 to 500 Series devices. It lets you proactively manage the network instead of just reacting to events. FindIT Network Management is the perfect addition to your business's network. Cisco Workplace Analytics can give you the insight to significantly reduce capital and operating expenses. Cisco Defense Orchestrator helps a network operations team easily manage policies across Cisco security products. It's a cloud-based application that cuts through complexity. You can orchestrate and manage policies consistently from one spot to keep your organization protected against the latest threats. Cisco DNA Spaces is the world’s most powerful location platform that leverages existing Wi-Fi infrastructure to give you actionable insights and drive business outcomes. The Cisco Enterprise Content Delivery System is a predictable, scalable, and versatile solution that helps organizations optimize video distribution over their existing WAN infrastructure. As a core component of the Cisco medianet architecture, the Cisco Enterprise Content Delivery System integrates into your existing network. When deployed with Cisco Wide Area Application Services, it provides a complete WAN optimization solution for data and video. CliQr platform enables businesses to easily and efficiently model, deploy and manage one to many applications, users, and clouds. CMX Engage delivers valuable location insights and powers engaging portal and application experiences. Observable Networks Dynamic Endpoint Modeling solution lets you see these different behaviors so you can quickly take effective action. Cisco Webex Meetings - Meetings that work for you. With Webex Meetings, joining is easy, audio and video are clear, and screen sharing is easier than ever. Forget about the technology, focus on what matters.